Peeling, cracked or discolored caulk should be replaced. Caulk is used in bathrooms to create a seal between the edge of the shower, tub or sink and the outer surface, preventing water from seeping behind the appliance and damaging the wall or floorboards. Over time, caulk can become cracked, stained or peel away from the wall and you'll need to remove it. Depending on how long the caulk has been on the bathtub or sink, you may need to soften the caulk with caulk remover. Available at any hardware store, the remover will make it easy to slice through the caulk with a utility knife. Simply apply a layer over the caulk you'd like to remove and follow the package instructions for how long to leave it on. Some people are bothered by the chemical odor, so be sure you have plenty of ventilation. Cut the softened caulk with a utility knife or other sharp cutting object and peel away the strips. If the caulk doesn't come off easily, or if it's very thick or there are several layers, you may need to pull it off using needle-nose pliers. Use the corner of a putty knife or the hook end of a painter's five-in-one tool to scrape off hard-to-remove pieces, particularly in the joints. 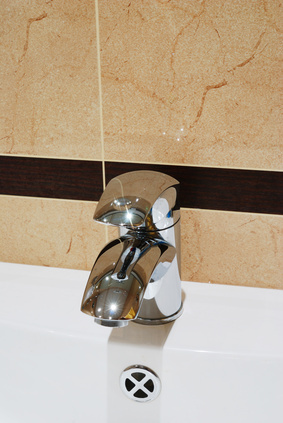 Residue may remain on the tub or sink surface even after you've removed the old caulk. Use a non-ammoniated cleaner to remove soap scum (or bleach to remove mildew) but take care not to mix the two because they can create toxic fumes. Apply the cleaners with a paint or foam brush, allow it to soak into the crevices, then remove with a brush or scraper. If you plan to re-caulk the area, use a caulk that contains a fungicide to prevent future mildew problems. Be sure the surface is completely clean because new caulk (especially brands that contain silicone) will not stick to soap residue or old caulk. Place a strip of tape above and below the area you plan to seal, then run a continuous bead of caulk along the length of the crevice. There are various tools to smooth the line, but you can also use your finger to spread the seal evenly. If you are trying to remove silicone caulk, the caulk softener may not be necessary. Instead, slide the edge of a putty knife or single-edged blade beneath the caulk and pull it away from the tub or sink surface. Only slide the blade in one direction to prevent scratches. Acid-based silicone removers are available if this does not work.